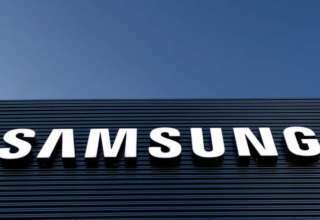 Samsung is expected to launch its upcoming flagship phablet, the Galaxy Note 9 sometime soon. Although not much is known about the upcoming smartphone, a newly leaked render of the devices has appeared online to provide us a proper look at the device. 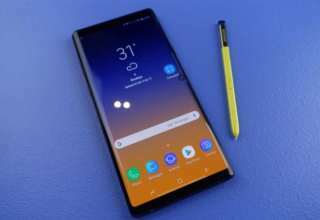 The leak comes from renowned leaker OnLeaks that has released a live photo of the Samsung Galaxy Note 9 and a 360-degree video. The leaked render first spotted by 91Mobiles, reveals that the upcoming device from Samsung has borrowed many design elements from its predecessor, the Samsung Galaxy Note 8. Since the Samsung Galaxy S9 did not feature many upgrades from its predecessor, the Galaxy Note 9 may also follow the same trend and may not feature much of an upgrade. However as the news is not from an official source, it should be taken with a pinch of salt. The most notable design element that catches the eye is on the back panel of the device. The leaked image shows the presence of rear camera setup in a horizontal configuration with the fingerprint scanner moved to just below the camera module. To recall, we had already seen the horizontal rear camera setup on the Samsung Galaxy S9 earlier. What is more surprising to see is the presence of the fingerprint scanner on the rear panel. Rumors were doing the rounds all this while that the Galaxy Note 9 is likely to become the first smartphone from Samsung to feature an in-display fingerprint scanner. 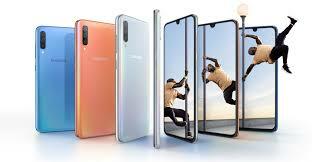 Later reports, however, did claim that the new technology is likely to be introduced on the Samsung Galaxy S10 as the South Korean tech giant is still not ready to implement this new tech. Apart from these features, the render also shows the presence of the 3.5mm headphone jack and it also has a display notch in front. Previous reports had claimed that the Galaxy Note 9 may arrive with a larger iris scanner to improve the authentication process. 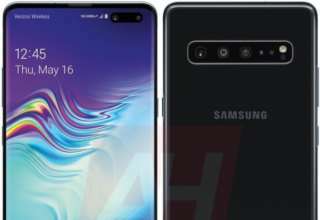 The company was also reported to be working with an Isreali company Mantis Vision for a 3D camera technology that may be unveiled with the Samsung Galaxy S10 as it is still not ready to be rolled out.